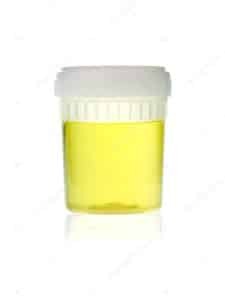 Dirty urines are a risk for any controlled substance user on supervised probation before their court date. As a Fairfax criminal lawyer, I know that staying off illegal drugs is easier ordered than followed. Criminal defendants on pretrial supervision (and on probation) who test positive for illegal drugs during that time might be inclined to stop working to stay off illegal drugs and to stop complying with the rest of their pretrial supervision conditions. Instead, it is important that my clients do everything within their power to get back on track after a dirty drug test, and to contact me to arrange a game plan for countering any potential efforts to revoke or intensify pretrial supervision. The strategy can include challenging the accuracy of any positive drug urinalysis, can include intensifying any drug sobriety/education program, and must include avoiding any further illegal drug use. I warn my clients against admitting any violation of pretrial supervision. First, criminal defendants maintain their Fifth Amendment rights with pretrial release authorities. Second, If a Virginia criminal defendant tests dirty for drugs or alcohol while on supervised pretrial release, that “result shall be reconfirmed by a second test if the person tested denies or contests the initial drug or alcohol test positive result.” Va. Code § 19.2-123. That is to say, an initial positive drug test is not sufficient to revoke pretrial release so long as the defendant denies or contests the initial dirty drug or alcohol examination. My clients are not alone while on pretrial release, including when producing dirty urine. I am just a phone call away if they encounter obstacles to complying with pretrial release, or difficulty in relating with their pretrial release agent. Pretrial release condition needs to be meticulously followed. That is so not only because it is better to be out of jail than in jail for one’s liberty interests, but also because a criminal defendant can achieve more positive equities while out of jail (for instance attending a drug program and doing voluntary community service) than when incarcerated. Fairfax criminal lawyer Jonathan L. Katz pursues your best defense against felony, misdemeanor and drug cases. To discuss your case with Jon Katz, please call his staff at 703-383-1100 to schedule a confidential consultation.